Under the Fair Labor Standards Act (FLSA) most employees, who are known as “non-exempt” are required to receive overtime pay for each hour worked over 40 in a single workweek. The overtime rate cannot be less than time and one-half their regular rate of pay. How does a employee know if they are “exempt” or “non-exempt” according to the FLSA? How far back can an employee recover unpaid overtime wages from their employer? Does the State in which I live in have overtime pay laws in addition to federal laws? 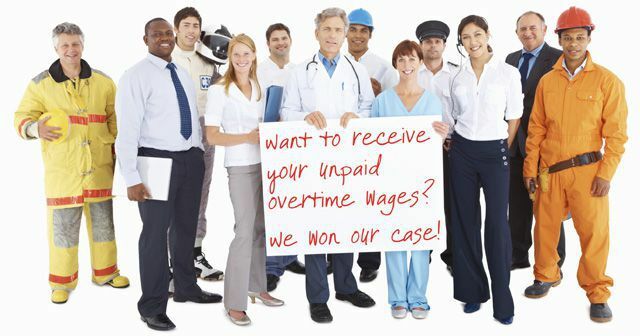 The specialty site is created to be a resource center on overtime pay laws to all those employed within the U.S. It includes information on federal overtime pay laws, each individual state’s overtime and minimum wage laws, overtime employees, the Fair Labor Standards Act (FLSA), several answers to frequently asked questions, legal rights of those workers who were unfairly unpaid for their overtime work, and more. Unfortunately the fact of the matter is most employees in the U.S. are not even aware that they are being underpaid by their employer. This is because many employers illegally withhold overtime pay for unlawful reasons, including but not limited to, forcing employees to work “off-the-clock,” averaging work hours over two work weeks to avoid overtime pay, misclassifying employees as “exempt”, or paying employees “comp” time instead of overtime wages.